Considered to be one of the pioneering contributors to multirate signal processing research, P.P. Vaidyanathan has heavily influenced the research directions in filter banks and multirate systems. He is most well known for developing the general theory of filter banks with perfect reconstruction, as well as orthonormal filter banks, which have impacted digital communications, audio, and image coders. One of his earliest contributions was in the area of low-sensitivity digital filter structures. He showed how such structures can be designed directly in discrete time, without the need for transforming electrical circuits into the digital domain. 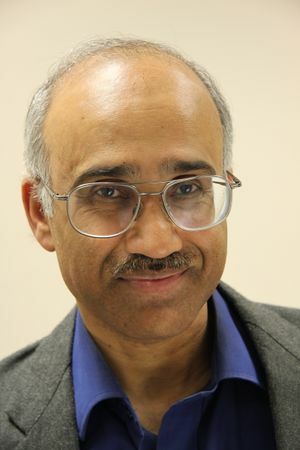 An early proponent of applying signal processing methods to genomics, Vaidyanathan developed methods to computationally predict the location of protein coding genes and noncoding genes. His work on co-prime and nested arrays is expected to have major impact on applications such as direction finding and radar systems. An IEEE Fellow, Vaidyanathan is a professor at the California Institute of Technology, Pasadena, CA, USA. This page was last edited on 1 May 2018, at 17:33.